After reading my post below entitled “How bad is the obesity epidemic” you are well aware of the astronomic increase in the waistlines of Americans over the past 20+ years. It shouldn’t surprise you that the same deadly trend is happening in our children. About one in six kids is obese (above the >95th percentile for weight). Many overweight kids are now afflicted with conditions like diabetes and high blood pressure and are forced to take pills that used to be only taken by middle-aged and older adults. Young adults are even suffereing catastrophic heart attacks and strokes. These kids are being robbed of their health at such a young age. Even worse, the life-shortening consequences of obesity will have a greater effect on shortening their lifespan because they start so much earlier. Not only is the weight taking a toll on their health and self-esteem, it is also increasing the risk that they will be overweight and obese as adults. It has been shown that the risk of adult obesity was more than twice as high for obese children as for non-obese children. 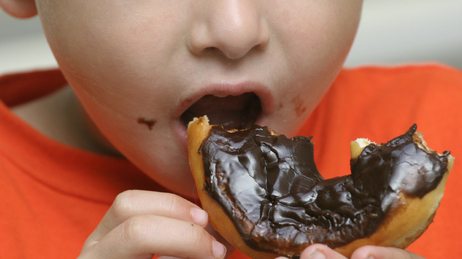 The later in childhood that kids are obese the more likely they will be obese as adults. The lifestyle and physiologic toll of obesity during development dooms these innocent victims to a lifetime of struggling with their weight. 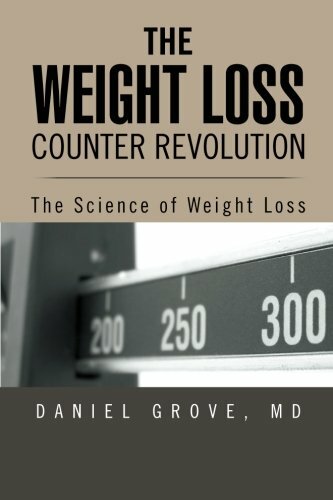 A recent study in the American Journal of Preventive Medicine has shown that all kids would have to cut an average 33 calories for preschoolers, 149 calories for grade-schoolers, and 177 calories a day for teens to meet the national goal of getting the obesity rates back to what they were in the 1970s decrease their caloric intake by about 40 calories a day just to prevent them from getting fatter! The bottom line is that to make a major impact on the overweight epidemic in our country there needs to be a much greater effort by parents, schools, government, and the broader community to educate and train children to lead a healthy and normal weight life. We all need to train our children to eat well and exercise more. To all parents out there, there is no time to lose. As I showed you above, the longer a child is obese the more likely they are to be obese for their entire life. You have to start now. You can change the course of your child’s entire life for the better. You can save them untold suffering. Of course, if you don’t transform your own relationship to food and weight, how can you expect them to? Guo S, Roche A, Chumlea W, Gardner J, Siervogel R. The predictive value of childhood body mass index values for overweight at age 35 y. Am J Clin Nutr 1994;59:810-9. Serdula M, Ivery D, Coates R, Freedman D, Williamson D, Byers T. Do Obese Children Become Obese Adults? A Review of the Literature. Preventive Medicine 1993;22:167-77. ← How Bad is the Obesity Epidemic? Lisa,I can definitely empathize with your problem. As a doctor, I am constantly faced with people whose denial closes them off to my attempts to help them live healthier lives.As for your friend, I would caution you to be very careful in how you approach this problem. People are extremely sensitive when it comes to being advised on how to raise their children. Your good intentions and caring may very well be misconstrued leading your friend to be even less open to your advice. If she isn't open to your suggestions, they are not likely to be accepted either way.My advice is that you live your own life in a way that is so inspiring that others cannot help but ask you about it. Show others how healthy eating and exercise create an energetic and vibrant woman. Take the information you gain from this website and elsewhere and live it in a way that makes others want to live it also. Eventually, your friend will be coming to you with an open mind and asking you how you are so successful. That is the point when you will be able to best inspire them.Good luck!